And if the fact that he’s sold a bazillion books isn’t enough to convince you, we have also added to this year’s schedule a 90-minute Q & A with Mr. Dekker, right before a multi-author book signing at the end of the conference. No where else that Mr. Dekker has spoken in recent years will you have better access to his brilliance! Absorb Dave’s years of industry experience writing across the breadth of speculative fiction, from unicorn stories, to Star Wars EU novels, to his intriguing Runelords series. Prepare to hear practical-yet-deep content you’ll be able to apply directly to your own writing. 2016 was basically the Year of the Rubart, where he won Book of the Year in the Christy Awards (with a speculative book, believe it or not! ), Mentor of the Year at ACFW, and more. Jim’s winning personality, spiritual depth, and know-how will fill you with great tools and inspiration to take back to your own work. You only need to meet Mary for a brief time to get a powerful sense of the passion she has for writing and sharing her experience with others. Her Storm Siren trilogy has earned her a place among award winners, with the first book in the series taking home both the Carol award from ACFW and a Christy award as well. We’re sure she’ll energize and equip you to take your wn work by storm. Those of you who joined us in 2014 may have been emboldened in your writing journey to do something completely unexpected, because BOB SAID YOU COULD. Well, Bob is back with us, this time, as an instructor. His conversational style of teaching will give you amazing opportunities to tackle some of your trickiest writing conundrums. And of course, it doesn’t hurt that Bob has been to the bestseller list, as well as Hollywood, with his work. Kevin Kaiser’s breadth of experience in the world of marketing is sure to offer authors, published and pre-published alike, a wealth of strategies to make sure they don’t just write, but get read! Both his time at Creative Trust as a Senior Brand Manager, as well as his work in the transformative endeavors of Ted Dekker are sure to give him matchless insights for authors to absorb in his sessions. In 2017, teens will have a place all their own during continuing sessions, so who better to shepherd these growing writers than Jill Williamson? Jill’s proven passion for helping teens find their writing voices, as well as her award-winning YA writing will inspire members of the next generation of speculative authors. Realm Makers is expanding, which means we’re involving folks like Sally, who bring experience in writing for younger readers. Who loves fiction filled with wonder more than kids, after all? If you’re writing, or thing you might, for geeklings in the making, Sally will have teaching for you that you cannot afford to miss. 2017’s content will feature the much-loved Thunderdome Fight Workshop, this time, on Thursday night, and led once again by the fabulous Carla Hoch. Realm Makers will also serve up more panels than ever, on topics like writing realistic physiology for those “blood and bandages” scenes, why and how to write short fiction, adapting your book for other media, and successful indie publishing. We hope you’re as thrilled to learn from this cast of experts as we are to bring them to you! A trip to Realm Makers: 2017 will be an investment in your writing growth that will pay countless returns. 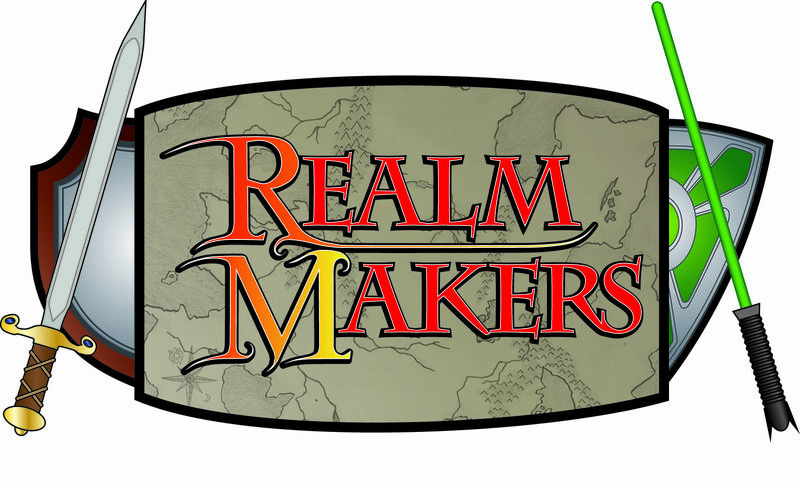 *Disclaimer: Realm Makers reserves the right to adjust the roles or members of conference faculty at any time. The above list is confirmed at the time of posting, but may be subject to changes, additions, or subtractions before the actual conference date. Reblogged this on Amy Brock McNew ~Author~. Quick question for whoever can answer: how many agents are typically at the conference each year? This year, we have four agents lined up and more publishers, but that number will grow by July. Sweet! Thanks for the reply. So excited for RM 2017!